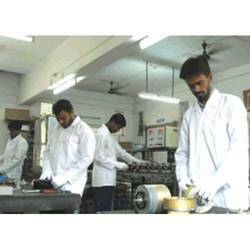 Established in 1994, We Pranshu Electricals Private Limited are an ISO 9001:2008, ISO 14001-2004 and OHSAS 18001 -2007 certified organization engaged in manufacturing and exporting a wide range of electrical DC motors and electro mechanical motors. Our range includes linear actuator, DC servo motor with worm gear box, DC servo motor with tachogenerator, DC servo motor with planetary gear box, DC servo motors with low speed & high current. Our impeccable usage of quality tested components allows us to manufacture these motors as per the OEM requirements. Available in various customized sizes and different configurations, these motors are extensively used in cable, pharmaceutical, polyester and BOPP film industries. Apart from these motors, we also provide repair work and import substitutes for every type of imported servo motor to our clients. For providing these motors and exactitude services, we are supported by a well developed infrastructure. Thus, being superlative in quality and optimum in performance, these motors are highly demanded in domestic as well as international market. Under the able guidance of our Owner & Founder Mr. V. V. Hambarde, we have been able to carve a niche in the market. 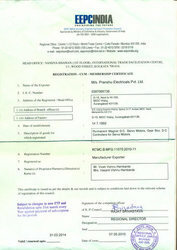 He is an instrumentation expert who has achieved remarkable expertise in this domain. We are looking mainly for export enquiries. Manufacturing andTrading of Electrical DC Motors and Electro Mechanical Motors. We are one of the prominent manufacturers and exporters of a wide range of electrical DC motors and Electro Mechanical Motors. Designed as per the OEM’s requirements and ISO standards, these motors are extensively used in cable, pharmaceutical, polyester and BOPP film industries. Along with these motors, we also provide repair work and import substitutes for every type of imported servo motors. Our superlative quality motors with this type of repair work enhance the efficiency and productivity of our range. Available in various customized sizes and specifications, these motors are highly demanded by our clients in domestic as well as international market. The reason behind our incredible success in market is the commitment and dedication of our professionals towards their work. Our professionals are highly qualified and work tirelessly to assure the production of flawless range of electrical DC motors and electro mechanical motors. Due to their combined efforts and proper coordination, we are able to cater diverse requirements of cable, pharmaceutical and BOPP film industries. It is their in-depth knowledge and immense industry experience that have enabled us to fulfill specific requirements of clients. Further, we conduct regular training sessions for our professionals so that they can provide repair work on any type of imported servo motors. We have garnered huge base of clients due to our premium quality range of electrical DC motors and electro mechanical motors.